You are here: Home / Note Brokers / How Much Will You Pay For My Note? If you buy or broker notes, you know pricing is the first thing sellers ask when looking to cash-out their payments from a seller carry back. Discover what sellers are really asking and the best way to answer the “What’s Your Discount” question. It’s natural for sellers to want to know the amount of money they will receive to sell future payments on a contract or mortgage. After all, it is the need for cash that made them make the call in the first place. Will you pay me a competitive price? Set the stage to obtain enough information to provide a quote. But be careful – what you say next is very important. Here’s the standard script we use to both reassure and answer the seller’s question. “How much we pay really depends on your note. Each transaction is unique so we look to 5 key factors for pricing. These include the type of property, the buyer’s down payment and credit rating, how long the buyer has been paying you, and the terms of your note like interest and payment amount. An average note will demand 75 to 95 cents on the dollar depending on the items mentioned. We then take the time to ask them questions about the transaction to gather enough information to complete the intake form or quote request worksheet. If possible, we also obtain a copy of the note, mortgage (deed of trust, or contract), and settlement statement. We can then provide an accurate quote subject to standard due diligence. Want to run purchase options, yields, and partials like a pro? 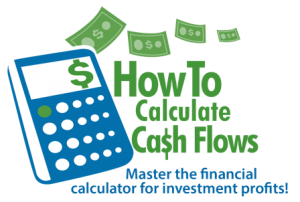 Check out our How To Calculate Mortgage Notes Training for over 60 step by step videos! Can I still purchase your february offer of the notehandbook downloaded for $37.50? We have had several requests to extend the February offer and are happy to say we will honor the special through March 2010. Once the order is placed the special bonus items will be sent via email.